Mark McNamara is a lying, cheating adulterer who will stop at nothing to get what he wants, but is he being framed for a crime he did not commit? Somebody has plotted to kill the women with whom he was intimately involved and all the evidence points to Mark. Nothing will stop the pursuit of justice and nobody is off limits, so who is the true mastermind behind the extraordinary cover up? This is book #2 in the Unfaitful series. 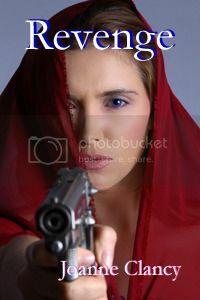 I have to say that I like Revenge much better than Unfaithfully Yours (which I have read and reviewed in January). With this book I was hooked from the very beginning and I ended up staying up a little bit longer than I expected because I just had to finish this one.